When the Accelerated Mobile Pages (AMP) team set out to help make mobile experiences great for everybody, the objective wasn’t just to improve a user’s engagement with content. We knew the experience people had with ads was equally important to help publishers fund the great content we all love to read. The AMP team laid out four core principles that would guide the innovation on the AMP ads roadmap and get us to a world where ads are as fast and engaging as the content we value. "So far, AMP has performed well against a number of metrics for advertising effectiveness and revenue. 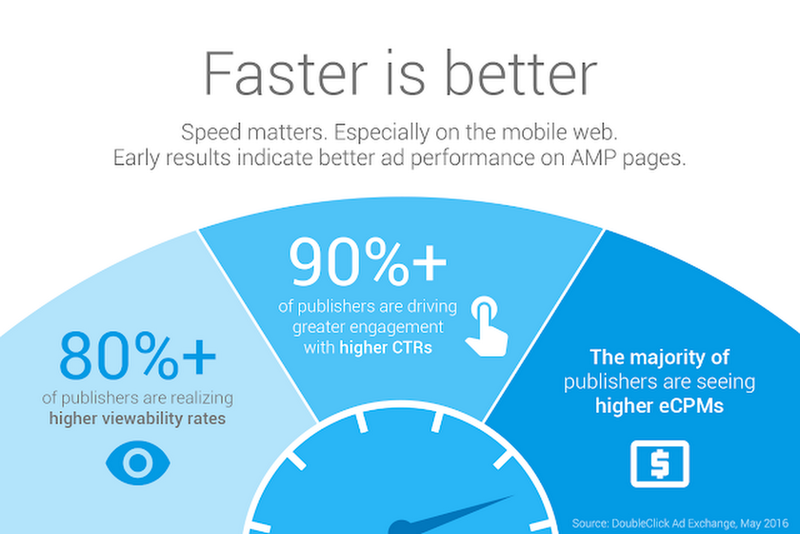 One encouraging stat is that we have seen an increase in viewability of ads within the AMP environment. As the industry moves more towards this as a measurement tool it is important we focus on optimizing for this metric. We are encouraged by the open approach to both publishers and our tech partners and look forward to what’s to come." "It is still very early days, but AMP has performed well to date from both direct and indirect monetization sources. We've been able to extend all of our custom ad products to AMP and have enabled it within our premium ad marketplace, Concert. We see AMP as a perfect intersection of two core tenets of Vox Media - fast mobile web experiences and ads that perform. We are encouraged by all of the metrics and are looking forward to continuing to grow this important channel." “Beautiful” matters: Two new formats that are as beautiful as they are engaging.